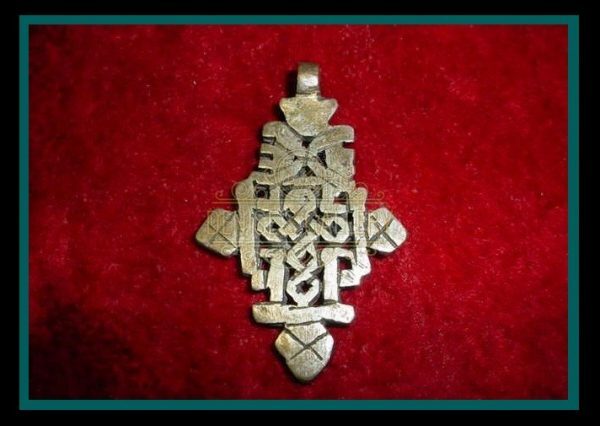 OLD & ORIGINAL, ETHIOPIAN COPTIC CROSS PENDANT. Coptic Crosses are Handcrafted in Ethiopia. Each Pendant is Unique, no two are alike. 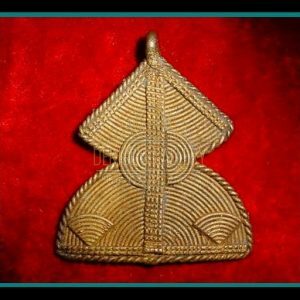 They come in various sizes and individual patterns, and are worn as symbols of Christian faith. This Authentic Coptic Cross measures approximately 2 – 1/2 inches long (including attachment loop) x 1 – 5/8 inches wide. The attachment loop measures approximately 4 mm inside diameter. Shipping: This Item will be Professionally Wrapped, Padded and Packaged – Fully Insured – with Tracking Number. PLEASE BE SURE TO CHECK OUT MY OTHER ADDITIONAL RELATED ITEMS, AS I WILL ALWAYS COMBINE SHIPPING, WHEN POSSIBLE, ON MULTIPLE PURCHASES!!!! THANKS AGAIN! error: You Cannot Copy Text Or Save Images From This Site.